Faye Claridge produces contemporary art works in response to archives and traditions, believing our current and future identities are shaped by ideas about the past. She often produces site-specific works and encourages public participation in her research, production and installation. In 2012 Faye started an artists’ residency at the Library of Birmingham, exploring the Sir Benjamin Stone Collection of over 22,000 images taken by the noted amateur photographer in the later nineteenth and early twentieth centuries. Stone’s obsession was to “record history with the camera” for future generations. He had a particular interest in photographing traditions and customs that he felt were at risk of falling into disuse. 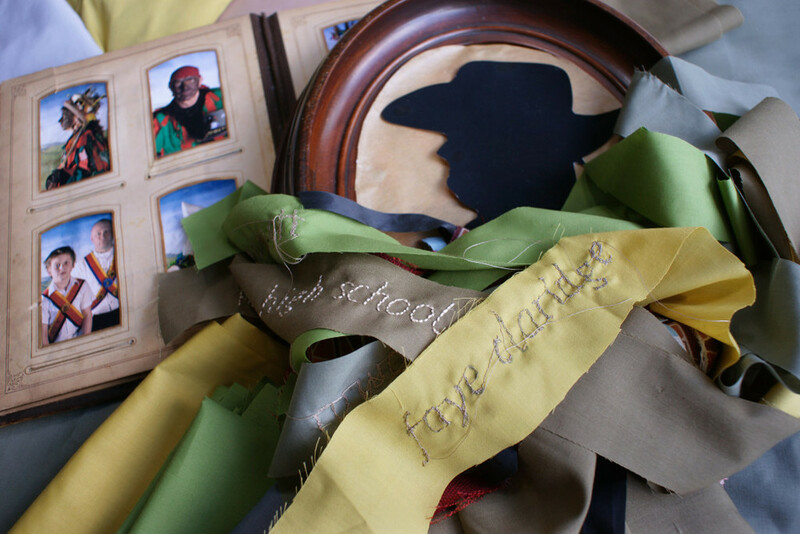 Faye’s work responds to this, questioning how our sense of self, community and time can be formed through the celebration of real and imagined customs. She has produced three new projects from the residency, the most prominent of which is Kern Baby, a five metre-high corn dolly sculpture based on a giant version of a harvest figure from Northumberland originally photographed by Stone in 1901. Faye further referenced the original image's allusion to folk customs by photographing a group of schoolchildren encircling the figure. Currently on display in the grounds of Compton Verney in Warwickshire until December 2015, Kern Baby moves to the Library of Birmingham in May 2016. Her photographic series Children of the Choosing presents a re-working of Stone’s images of the Knutsford Royal Mayday Festival in Cheshire, which he documented in 1902. Through her subtle framing of the ‘characters’ through slight variations in camera height and angle, Faye has created works that are quite distinct from Benjamin Stone’s originals. There is a sense of playfulness interwoven in her portraits which undoes some of the formality of Stone’s images: they include one of a girl holding aloft a red ribbon which temporarily blindfolds her and another of a boy enacting the role of a holy minister, his whole being ready to receive a personal interlude with God. 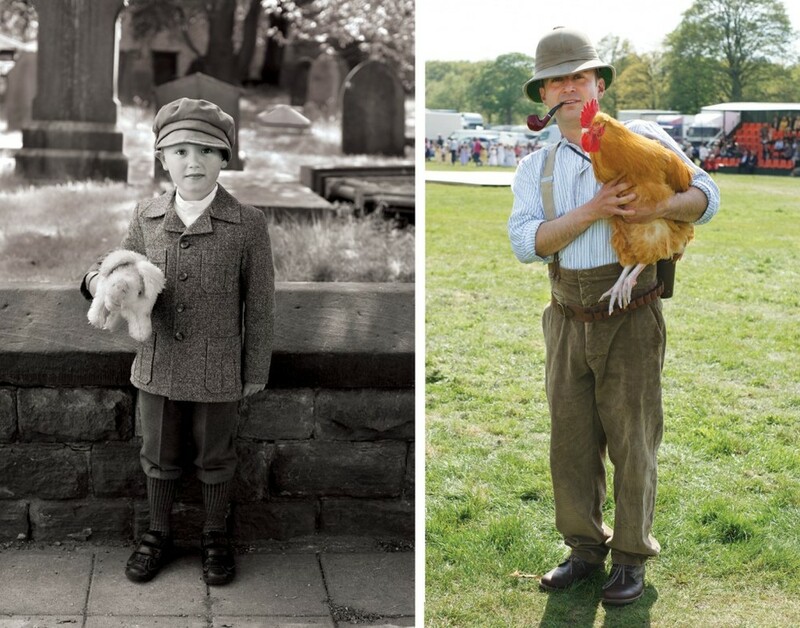 Faye also followed in Stone's footsteps to Warwickshire, where she made a series of photographs of children with artefacts from the Marton Museum of Country Bygones similarly inspired by photographs from the Sir Benjamin Stone collection. To launch the project, a community-wide event was held to showcase the historical photographs and Faye's own research. Linked activities on the village green included lace-making, a traditional storyteller, bee-keeping demonstrations and willow weaving. 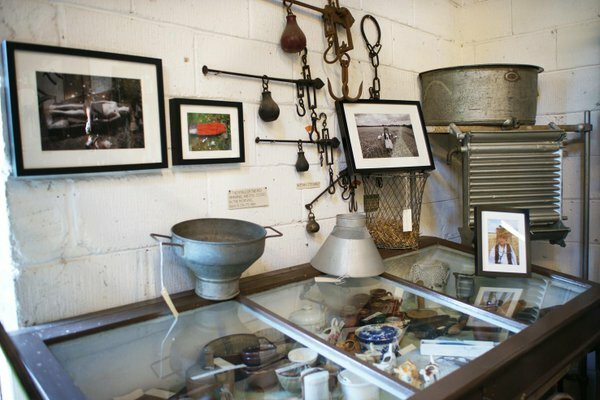 In the workshops and photo shoots that followed, the museum objects and the customs and festivities photographed by Stone encouraged the children to raise important questions about local identity, inherited customs, photography and authenticity. The resulting photographic series, A Child for Sacrifice, was nominated for the MACK First Book Award. Faye is currently undertaking an artist's residency at Coalbrookdale, where she's going to create some alternative 'portraits' of the three Abraham Darbys, none of whom commissioned portraits of themselves in their lifetimes. In her work, she will make reference to both the embroidered samplers and the silhouette portraits at the Darby home in Rosehill, therby alluding to 'domestic industry' and introducing the idea of disguise within portraiture. She began by gathering the names of those involved with the works in the past and asking those whose lives had been shaped by the Industrial Revolution to suggest evocative phrases to be stitched onto strips of cloth to create embroidered fabric. The resulting fabric will be used to create photographic, sculptural or performance-based 'portraits' that show the relevance of rural, traditional, domestic and moral life to these Iron Masters.